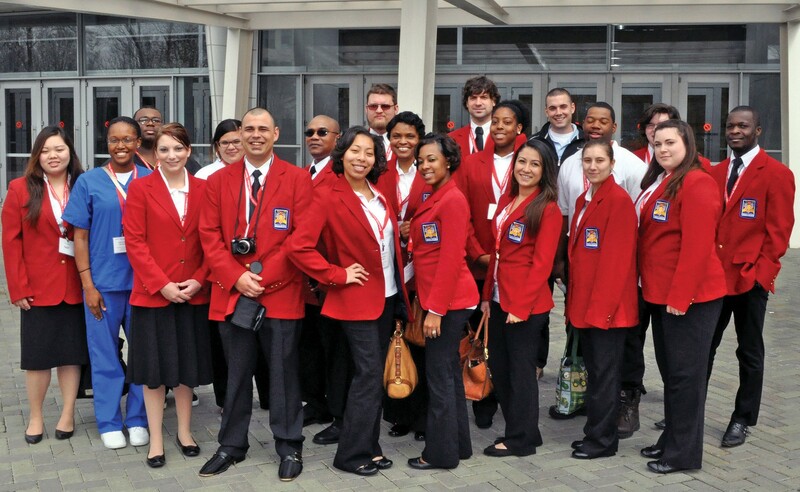 Savannah Technical College’s 2013 SkillsUSA team competed with more than 500 college students at the SkillsUSA Georgia Competition in Atlanta, Ga., held March 21-23, 2013. Savannah Technical College students won nine gold, silver and bronze medals at the 2013 SkillsUSA Postsecondary State Conference, held March 21-23 at the Georgia International Convention ad Atlanta Technical College. Savannah Tech students brought home three gold medals (first place): Marquisha Session, Nichelle Cruz and Christopher McLendon (Chapter Display); Amanda Allen (Technical Computer Application); and Shondai Dunbar (Nursing Assisting). Students from across the state of Georgia took part in the three-day competition. SkillsUSA is a career and technical student organization that annually serves more than 320,000 high school, college and postsecondary students–and their instructors– in technical, skilled and service-occupation instructional programs.